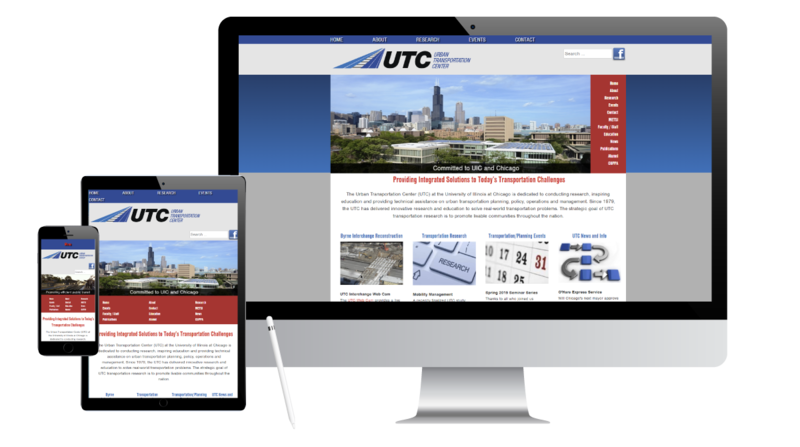 Urban Transportation Center at UIC - What A Great Website! Traffic and transportation are a study area at the University of Illinois at Chicago. This site was built for the Urban Transportation Center as a resource for academics and also to highlight the work of the UTC. It was designed to reflect the University’s branding. We selected images that tell the transportation story.